How sweet is this photo of Bubbles being read to by one of her second cousins? She was sitting so still and listening so attentively. I posted an interview with Jiang Meiru of Flip for Joy recently, and am happy that this online bookstore is helping, in its own way, to instil the love of reading in children. In the last couple of weeks, I was thrilled to explore 6 books/sets from Flip for Joy with my girls and would like to share my thoughts about them with you. 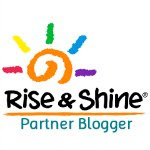 There is one $30 e-gift card from Flip for Joy up for grabs, and you may first scroll to the bottom of this post to read about the giveaway if you wish! 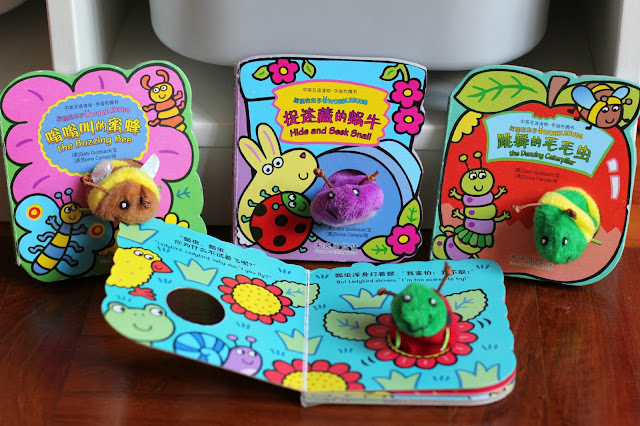 This is a set of small board books each with an attached finger puppet of an insect. Each puppet pokes through all the pages of a book, and Bun is really attracted to them. I would wriggle the puppets as I read the books to her. I love it that these books are written in both English and Chinese, which makes them value for money. These pocket-sized books are also small and sturdy enough to be thrown into diaper bags for trips out! This set makes an excellent gift for young ones. It is hard to go wrong with Disney for kids, and this set of six board books prove it. If Bun was attracted to the finger puppets of the books above, I was drawn to the board quality and images of these books. These books are very well made, and the fiddle functions (as I call them! ), with lift-the-flaps, mirrors, pull-outs etc, are of excellent quality - not the type that will easily fall apart as some books do. Soothing pastel shades are used throughout the books. The words in the book are written in a way that one will speak to a baby or a very young child. I found this charming, and admittedly picked up a couple of phrases to use when I talk to my children in Mandarin now. A great starter set for young children! Here are 3 out of 5 books from the 点点和多多 series. (Or Dot and Dash, as they are known in English). These books describe the characters in various fun and familiar situations - at the beach, flying a kite and playing a game. There are many touch and feel elements in the books, including cute pop-ups. The sentences used in the books are short and catchy. My children have many similar books in English, and I am glad they now have these Chinese ones too! A Chinese reading series! I was so glad to receive this and that Bubbles enjoyed them. There are 18 books in total and they have been developed for young ones to learn to read. I found the hanyu pinyin provided very useful, as with the summary/quiz pages at the end of each chapter. The earlier books have simple summaries of key words, while the more advanced books feature quizzes like fill-in-the-blanks to reinforce new vocabulary covered. Key words also come with English translation - a feature I also found useful as a parent. Other Chinese reading sets I've seen are of fiction. This one features themes of everyday life, like the environment, occupations, and seasons. I found that quite a nice change and would definitely recommend this set! This is a beautifully designed and colourful board book that I understand was translated from an Italian series. It describes various circus acts while introducing a colours. I have yet to read this to Bubbles as it is written in a poetic form and the truth is that I am not yet able to read this fluently enough to make this sound as beautiful as I believe it should be. Thankfully, this book comes with hanyu pinyin as well, and I am sure I'll be able to read this well enough soon with practice! We read lots of English books with rhymes and poems, so I do think this is a great addition to a child's bookshelf! We are fans of Karen Katz and therefore this book caught our eyes. In true Karen Katz style, this book had delightful illustrations and sweet wordings. It covers the numbers 1 to 10 by counting the number of kisses a mother gives her baby. I found Bubbles attracted to this book because of the familiarity of the illustrations. Receiving these recommended books from Flip for Joy made me a little more confident in Chinese book choices for my children. We sure do have quite a bit to work on as we don't speak much of the language at home, but we do try! 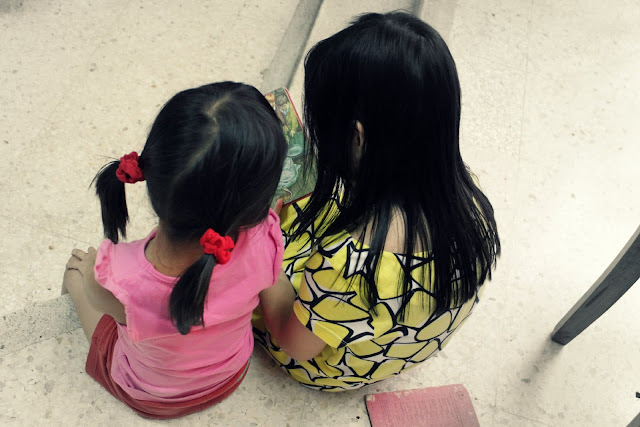 Mummybean wrote a useful post about using an iPhone app to help with the reading of Chinese books to children. Roboman uses the Pleco app as we are on Android. If you are like us and sometimes have trouble reading Chinese characters, these apps are a godsend! Flip for Joy is offering a $30 e-gift card (valid for 6 months) to one A Dollop of Me's reader! If you would like a chance to win this card, leave a comment on this blog post telling us what you like about Flip for Joy, and your email address. 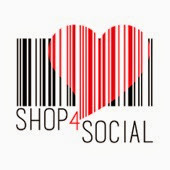 We're giving extra chances for each Facebook "like" and Twitter follow. Just indicate your likes and follow in your comment! This giveaway will end on Tuesday 5 March 11pm, Singapore time (GMT+8). Best wishes! 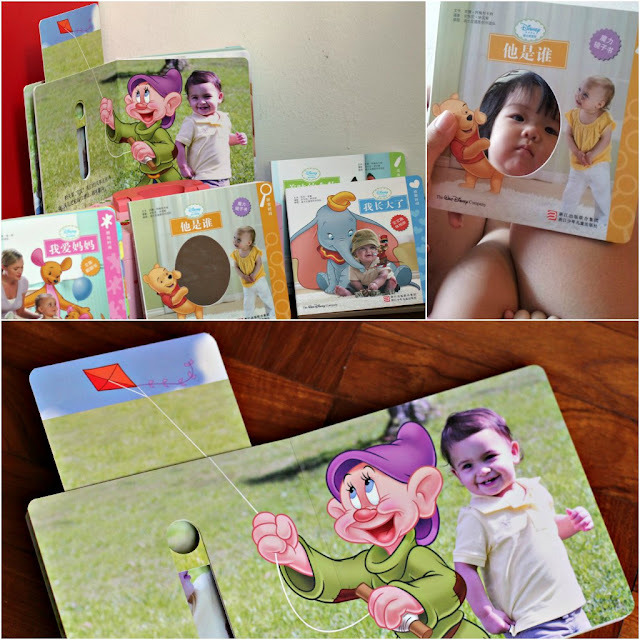 I like Flip for Joy's mandarin versions of popular and familiar Kid's English books. Plus the illustrations are really colorful and attractive to the Lil ones! Hi, I like Flip for Joy's interesting range of picture books and its bilingual descriptions of the stories. Have liked both FB pages. 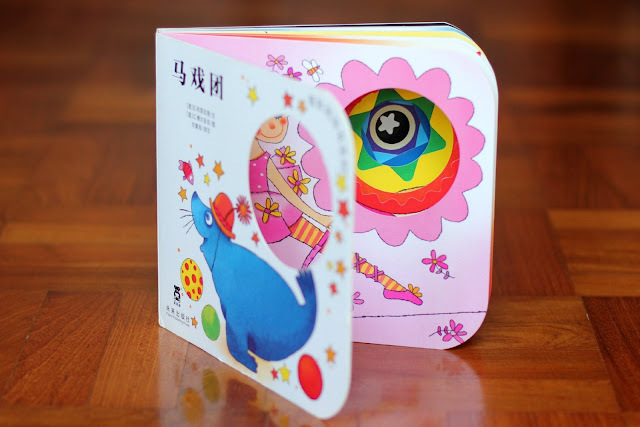 I like it for its colourful visuals and it make reading Chinese more fun for the kids. I like how the books are similar to the english books that we have and it made me feel more confident that it's suitable for my girls's age group. 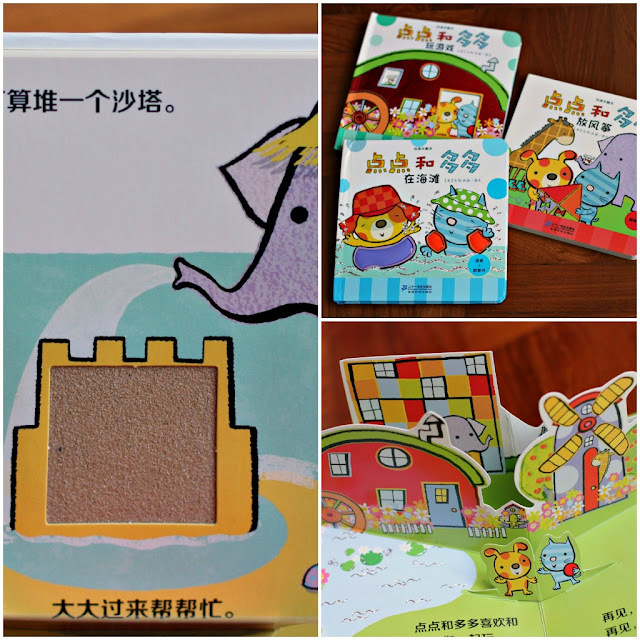 I love the heartwork put into this adventure by Meiru, which bears fruits in so many ways - love ofr Chinese reading for kids everywhere, allows Meiru to work from home and of course, for mummies like me to breathe a little easier when selecting good Chinese reading materials. Thanks to Flip Of Joy! 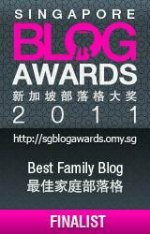 Jiang Mei Ru an inspiring mum! Flip for Joy has open my eyes to the World of Chinese story books and this has inspired me to start my chinese reading journey with my kids!I never knew Chinese story books can be so interactive and colorful too! Thanks to A Dollop of Me too for introducing Flip Of Joy. Liked both in FB and followed on twitter. I love the fact that I can trust the quality of the book selection at Flip for Joy and that the books are categorised for the different ways they help develop a child. 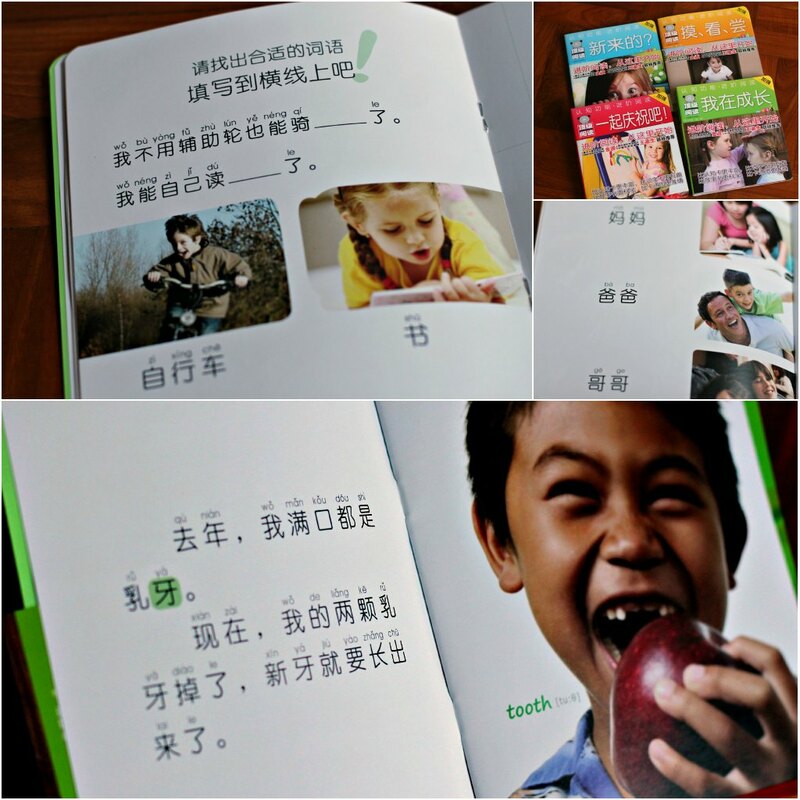 I like the wide and interesting range of Mandarin books available at Flip for Joy! Knowing how difficult it is to find good mandarin books in Singapore, I truly appreciate this! Liked both FB pages and followed on Twitter. Appreciate the curation she does! I like how Jiang Mei Ru really go through the books and select the best for busy parents like us. there is a wide variety of high quality books divided according to the various age groups, make deciding which to purchase a breeze! I love Flip for Joy for the collection of chinese books for children especially when there aren't so many available online as compared to the English books. 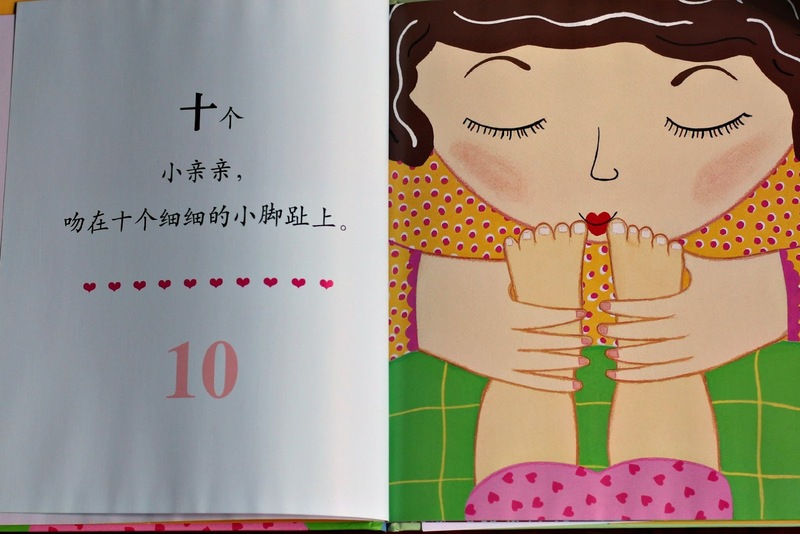 The picture books help parents to help their children develop their love for the chinese language and having bilingual books and han yu pin yin helps as well! I like that Flip for Joy has familiar books translated into Mandarin from the English versions. My boy loves seeing similar pictures. I like how Flip For Joy categorises books according to both age groups and the nature of the books - whether they are for fun, love or knowledge. I like the good selection of interesting Chinese titles that are grouped under different categories so they are really to browse! I have liked both FB pages and followed you on Twitter too. Thanks for your review on these books. I just bought quite a few from Flip for Joy, and your recommendations will come in handy when I buy more. Oops, forgot to leave my email address! Hey, thanks so much for the link! D uses Pleco on his Note II too. 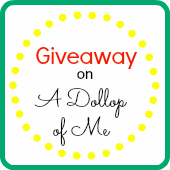 Anyway, I like Flip for Joy so I'm entering this giveaway! I love their interesting range of books plus the great service by Meiru. I've already liked both the pages before and been following you!